The Cloth Store In Shahpur Jat is a secret haven for imported Italian fabrics, and we found some of the most gorgeous prints we've seen in the city here. Florals, detailed prints, great quality material. They've been around for two years in Shahpur Jat, but we recently came across them while exploring Dada Jungi House Lane. The quality of their fabric speaks for itself, as do their unique designs (so you won't be wearing the same clothes as everyone else in the city). They say their stuff is for men, but women can find plenty of fabrics here for bespoke outfits. 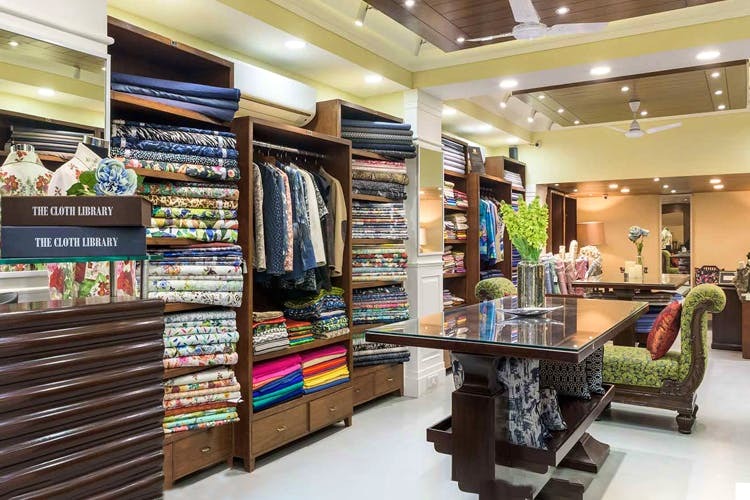 Their prices range from affordable to expensive, on account of of the imported fabrics—so you could be paying any amount, starting from INR 500 for a meter of fabric. They've got an excellent variety of silks, cottons, linens, woolens, a number of different blends, all kinds of prints, florals (this list basically just goes on). They have everything, and they're super-helpful when it comes to finding the right kind of fabric for you. Their stuff can get a little more expensive than normal cloth stores, but it's worth it. We wish they had an online store to order from, so we didn't have to go all the way to Shahpur Jat.